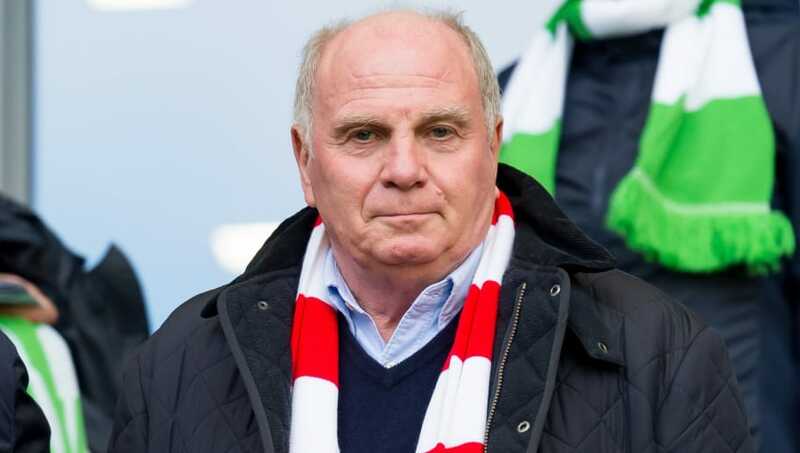 ​​Bayern Munich president Uli Hoeness has claimed that the team are underdogs for the first time in a long time in their Der Klassiker match against ​Borussia Dortmund, claiming that the side will have to play a very good game. Dortmund have remained unbeaten in the league so far this season, and are on top of the league with a four-point lead over Borussia Monchengladbach and Bayern Munich. Hoeness has suggested that while Bayern are usually the favourites during this clash most seasons, this year they will be the underdogs. "You can't go to Dortmund and say that you want to secure three points. Dortmund have had a very good season so far, no doubt about it," he said, according to ​Goal. "We do not go to Dortmund as favourites, but as underdogs – for the first time in a long time. We have to make sure we play a good game there and then we'll see what happens." "Don't always be so negative. The season has just begun, we have a team in transition, a young coach who has to settle in here and you have to be patient," he said. "Four weeks ago you all complained that the Bundesliga is getting boring again and now it is no longer boring but exciting and now that doesn't suit you. "At some point you should agree on what you actually want. We're doing you a few favours right now." For the first time in a long time, it looks like the Bundesliga title chase will be an exciting one, considering that after 10 games it is usually Bayern who usually would have had a commanding lead at the top.